Home Costs > How Much Does a Dryer Belt Cost? How Much Does a Dryer Belt Cost? One of the most common problems that occur with many household dryers is the belt. 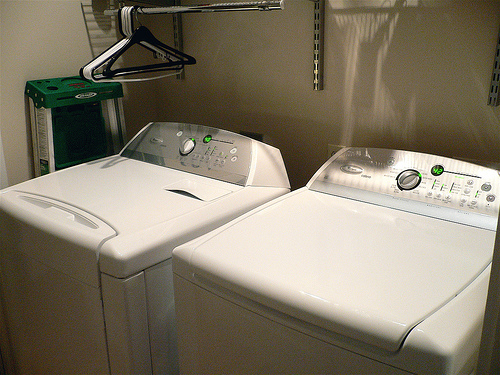 Generally, when you hear a banging noise or you noticed your dryer no longer spins, it may be time to replace the belt. On average, the dryer belt is going to cost anywhere from $3 to $10 for the belt. Of course, this won’t include the professional installation. For example, a Whirlpool dryer belt can retail for $5 to $8, while going directly to the manufacturer can increase the costs to as much as $15 to as much as $40 per belt. A dryer repair kit that includes all the items necessary to repair the belt can cost anywhere from $20 to $39. These kits will come with support wheels, the pulley, and belt. For example, a Whirlpool dryer repair kit can retail for $24 to $33, depending on the size of your dryer belt. To have a professional come out to your home, plan on spending at least $50 to $99 for the service fee alone, plus on top of that, the repair company will charge two to three times more for the belt. Overall, a professional can cost $175 to $295 for a professional repair. According to this Metafilter.com forum thread, some members claimed that it’s best to replace the belt yourself since the job is rather easy. If you have to call out a technician, many claim that they have paid anywhere from $70 to $150 for the house call alone. At Sears Home Services, for instance, the average cost to repair a dryer is between $180 to $240. A professional company will charge extra if they find that other problems with the dryer since the belt is not always the problem. A common part that needs to replaced with the belt, for instance, is the motor — a part that can cost upwards of $150. Consider replacing the dryer belt yourself. There are many DIY resources online that you can take advantage of to replace the belt at home. Keep in mind that with this particular part, there isn’t much you can do in order to screw up. If you insist on hiring a professional, consider getting multiple quotes for free from HomeAdvisor.com. Simply give them a description of your problem and licensed/insured contractors will contact you with a quote.